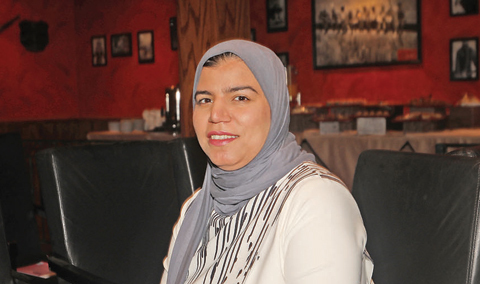 KUWAIT: Ten out of every 1,000 women in Kuwait are diagnosed with breast cancer, admitted Dr Asma Hussein, Senior Specialist and Radiologist at the Ministry of Health. Speaking with Kuwait Times at a seminar held at the Movenpick Hotel yesterday, Dr Asma noted that early detection is the key to prevention and cure. “We advise women who are 40 years old and above to regularly visit their clinic and ask for a mammography screening at least once a year. We do mammogram and ultrasound, biopsy and MRI depending on cases,” she added. Women admitted in the Kuwait National Mammography Program include those with no signs and symptoms, as well as women with higher risk of breast cancer, women with no prior history of breast cancer, and women who have not underwent mammography during the last 12 months. There are five health cancer care centers in Kuwait, located in South Khaithan, Al-Zahra, Al-Naeem, Al-Egaila and Al-Surra. “There is always a possibility breast cancer can be prevented. Early detection of cancer means that intensity of treatment can be less extensive; the cure will be easier, so the outcome will always be better. The aim of the screening is to detect any signs of cancer cells in the breast. Usually you cannot see any signs without a screening. We advise women not to wait for the signs or pain, and go for a routine check-up regularly. On detection, we start the treatment immediately,” she said. The mammography screening program is for all the women in Kuwait above 40 years of age. “We accept all women, not just Kuwaitis, but the health charges will be applied on expatriates. Yet, the charge only KD 30, so I urge all women in Kuwait who are aged 40 years or above to undergo the mammogram so as to detect any signs of cancer cells in the breast,” she said. The Kuwait National Mammography Program started in 2013 with 15,000 women. In the first three years, 150 cases of breast cancer have been detected.